FortuneJack feels generous once again, as it treats the players to a new and unique daily giveaway promo. Everyone registered on FortuneJack has a chance to get a share of the 1,000 mBTC prize fund up for grabs every day when they make the most of the newest promotion called LuckyJack. A perfect addition to the casino’s list of bonuses and promotions, LuckyJack stands out for its distinct and player-friendly mechanics. The exclusivity of the giveaway makes it all the more attractive, especially for online bettors yet to discover what FortuneJack has in store for them. 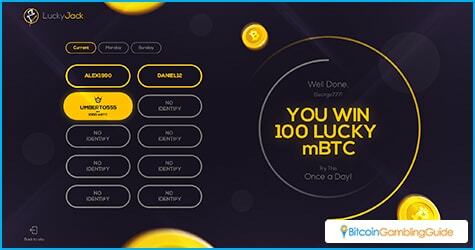 LuckyJack’s daily prize pool is reason enough to get the ball rolling in this casino, with the monthly prizes to be given away up to 30,000 mBTC. Anyone who has an account on FortuneJack and deposits at least 10 mBTC has a chance to be one of the lucky winners to receive their fair share of the rewards. All prizes go straight to the player account immediately after every win, and the best part here is that it does not come with any additional terms. Not all 10 winning spots, however, may be filled in every day. If the first time to try LuckyJack brings no reward, taking more chances for a win is most welcomed. In fact, even players who have already won for that day can have another go at the giveaway promo. The game resets every 00:01 server time. LuckyJack is exclusive to all registered FortuneJack members, but new players can already try their luck right after they sign up and make a 10 mBTC deposit. 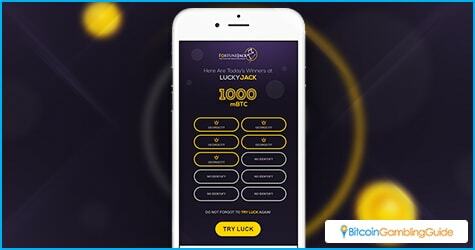 With as simple as clicking the Try Luck button on the LuckyJack game, players can already find their bankroll higher by 100 mBTC per day. This is how easy FortuneJack designs their promotions to be, and this is all for their loyal and active players. 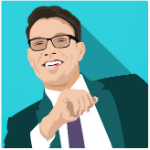 A FortuneJack representative shared with BitcoinGG that the entire team behind the cryptocurrency casino is dedicated to improve all the game features on board and be highly competitive on the Bitcoin gambling market. This is also a way for them to ensure that all of their players are satisfied and happy with the kind of online gambling they are provided with. LuckyJack is just one of the numerous giveaway promos FortuneJack unveiled this year. The deposit bonuses, along with the monthly and weekly bonus deals as well as the past promotions, make every gambling session in this Bitcoin casino exciting and worth looking forward to.